We install Commercial Security Systems across Hertfordshire, Enfield and North London. You work hard to get your business where it is today and we want it to stay that way. That is why we have established ourselves as experts in the field of CCTV and Alarm Security Systems. 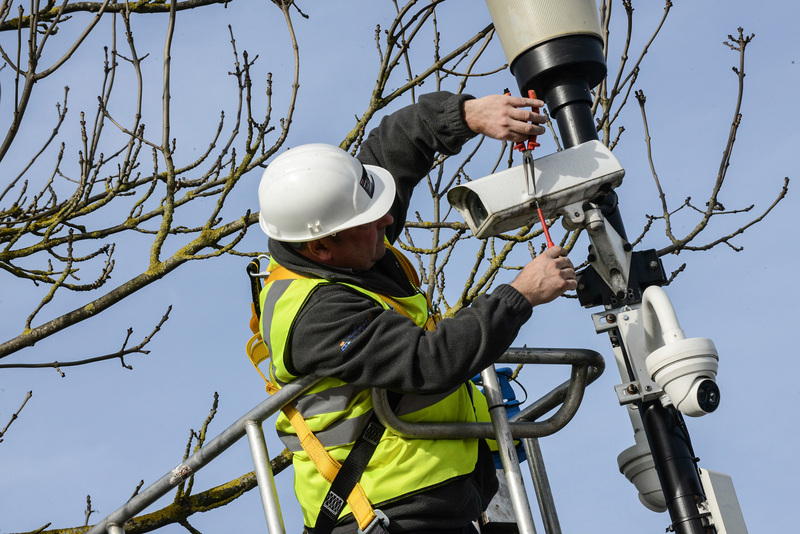 Our professional camera systems provide day and night vision coverage and can email (also sms & push) you imagery of any intruders within seconds. They are extremely effective at capturing any unwanted visitors and can remotely upload footage to ‘the cloud’ as soon as the images are shot, so even destruction of equipment will not prevent the evidence from reaching you. The camera systems we install provide full 1080p video and up to 4-megapixel resolution still images. We have installed ultra-high-resolution cameras for over 50 businesses to protect their premises against unwanted intruders. These businesses include Offices, Hotels, Garden Centres, Builders Merchants, Restaurants, Car Garages and Shopping Centres. Our security systems are currently protecting over £100m of assets. 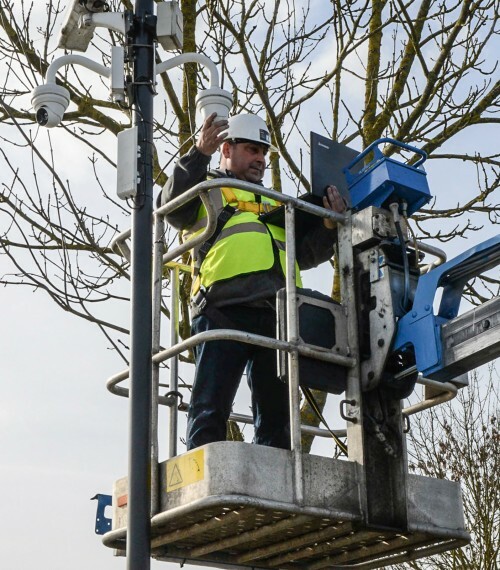 adaptIT are specialists in number plate recognition and have successfully installed ANPR for a variety of projects, the largest being the London congestion charging system over 15 years ago. When we began installing alarm systems over 25 years ago we decided we only wanted the best for our clients. That is why we became approved partners of Jablotron, one of the world’s leading alarm security manufacturers. Jablotron alarms offer a revolutionary modular control system that allows you to customise the security coverage of your premises. You can easily add an extra meeting room or warehouse area should you need to. The system comes with motion detectors, door and window monitoring, battery backup and full wireless operation as standard. To find out more about our Jablotron alarm systems and to discuss your business security requirements, please get in touch here. We do undertake installation in houses, but due to the quality and robustness of the equipment we use we do not actively seek work in the residential sector. If you have a large property and require a commercial-grade installation, please feel free to contact us for a quotation. If you have a simpler requirement and require advice, please call and we will refer you to either, Armour or Tindall security. Both companies are clients of ours and are perfectly equipped to cater for the domestic security market. Contact us now to ask our advice on the best CCTV or alarm system for your yard, office or venue. Whilst we provide professional level security systems they are still available at an affordable price. Our CCTV and Alarm packages start from just £7000 (£2000 alarm only) They are fully customisable and the systems can be built around your specified security needs. Contact us with your security requirements and we can advise on the most appropriate system, set-up and installation. Contact us now to ask our advice on the best CCTV or alarm system for your yard, office or venue.